I had the privilege of offering public comments at the December 12 FDA Advisory Committee meeting for BMS/AZ's dapagliflozin (aka DAPA). My comments were roughly what follows. I say roughly because I know I get lost and stray from the notes. I have tried to bring what portions of my ad-libbing I remember into what follows. My sincerest thanks to Kelly Close and the team at diaTribe for sharing detailed background material that made it possible to offer informed comments. DAPA has had a complex and carefully scrutinized regulatory path. There were concerning possible signals of risk. Without being able to read though its history it would have been impossible to appreciate the Sponsor's (FDA hearing speak for the pharma companies behind the drug application), FDA's and committee's conversation on those risks. Good afternoon. My name is Bennet Dunlap. I have no relationship with the sponsor. My travel here today is at my own expense, including the cost to a good nights sleep of getting up at 4:am to drive down from Philly for this meeting. I am a diabetes advocate, a blogger, been a PCORI reviewer and I recently created the StripSafely.com campaign for meter accuracy. I am a member of Diabetes Advocates, an association of diabetes patients and writers. Last time I was here I absolutely slaughtered the name of the drug in question, so this time I’m not even going to try. Like 26 million other Americans, I live with diabetes. This morning somebody spoke of unintended wisdom. Those of us with diabetes will take wisdom any which way we can. I often feel that, the conventional wisdom in medical literature projects that diabetes care is easy. Many of us have felt it is not. We have found it doesn’t help when – despite our best efforts – we are labeled non-compliant. Maybe the problem has to do with unrealistic expectations, or maybe the problem has to do with imperfect treatments. What I am certain about is while all of us with diabetes can benefit from similar diet and exercise, there is no one size fits all approach to good diabetes medications. We need choices to talk about with people like Bob Ratner, (Gesture to Bob who just spoke) our doctors… and we need innovation. Which brings me to the purpose of today’s meeting. Has the sponsor met the safety and efficacy requirements to market their candidate drug and does it present potential heal value to some of us living with diabetes? - and ease of use that comes with a pill. Expanding the class with this DAPA increases choice: although there is already one approved for SGLT-2 therapy, a second one would provide obvious benefits from competition, broader education and outreach. We all know third party payers love to bid the pharma. companies against each other and a second SGLT-2 would give them a chance to do so in this exciting new class. As you consider benefits of diabetes medication outcomes, I encourage you to look to endpoints that can create success in patients’ daily lives. In addition to endpoints of lowering A1C, and avoiding cancer and CV risk profiles - look to endpoints that we can see and feel in our daily efforts to be “compliant.” Medicines that show less weight gain or even loss and less hypoglycemia can help with the phyco-social struggle to stay compliment. The safety issues raised at the DAPA first hearing we're quite concerning. Nobody wants to trade blood sugar control for cancer. I appreciate the scrutiny the the agency and sponsor have given to the issues. I was particularly interested in this mornings presentation on the bladder cancer risk and look forward to detailed professional exploration of it this afternoon. As Dr Wilding pointed out this morning, we need better treatments. As a patient I worry that regulation creep may inhibit those innovation. That the endpoints move after trials have begun. What constitutes an effective study need to be resolved before the trials start, not after the fact in discussion at an advisory meeting. In closing, please remember diabetes care… is self-care. As patients, we see our doctors just a few times a year, maybe for a combined total of an hour, or two if we are really lucky. That leaves us on our own, responsible for self-care the other eight thousand, seven hundred, fifty eight hours a year. We could use a hand seeing success in that. Like a lot of folks I have been waiting to see the Dexcom CGM integrated with insulin pumps to provide a better system for people with diabetes. Like a lot of folks I am a tad (a word that here means "a whole lot") impatient. I heard an interesting explanation of some of the processes today in a Dexcom presentation at the Oppenheimer 24th Annual Healthcare Conference by Steve Pacelli EVP of Dexcom. 19:55 into call if you want to listen along at home. What the hell is the difference between 510(k) and PMA you ask? Good question. Here goes. 510(k) is substantially equivalent to some already approved device. PMA is a more robust evaluation. I'll make the grossly overly simplistic comparison that 510(k) is like sayin, "Yo! FDA. Our thingy here is like that other thingy over there. You approved it and so since we are like it, we should be approved too," and PMA is turning in a full term paper, with APA formatted footnotes, to a bear of a grader. “A 510(k) is a premarketing submission made to FDA to demonstrate that the device to be marketed is as safe and effective, that is, substantially equivalent (SE), to a legally marketed device that is not subject to premarket approval (PMA). Pacelli goes onto talk about some of the PMA documentation required including testing, validation and quality systems. Don’t care much about regulatory paths? Fair enough. Steve continues to think that Animas will complete FDA questions in January putting an approval in teh middle of 2014 and t:slim filing in Q1 and maybe getting an approval in late Q4 2014 or early 2015. Actual regulation times may vary. LOL. Please, listen to the call for more accurate insights, this is a blog on the internet. Also in the full disclosure department, I own shares of Dexcom and Tandem. As hard as it is to imagine, children with diabetes in Pennsylvania aren’t always able to get insulin and glucagon at school because school staff members are prevented from helping a child in need. While some students have a full-time nurse in their school, others share their school nurse with multiple schools, and that nurse cannot always be available to provide both everyday and emergency care. Even in schools with a full-time nurse, the nurse often isn’t available during field trips and extracurricular activities. But diabetes can’t wait. 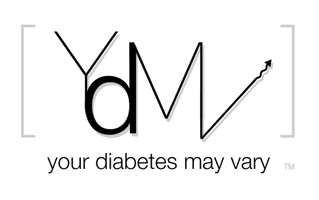 Diabetes must be managed 24 hours a day. At home, a child has parents, babysitters, and others to help, but at school, there may be no one who can care for them. Without this careful management, these vulnerable children face frightening short term complications and an ever increasing risk of blindness, heart disease, kidney failure, amputation - even death. In the horrific situation where a child with diabetes has a severe low blood glucose level and the school nurse isn’t present, the current solution is to call 911 and hope an ambulance arrives in time, rather than having staff administer life-saving glucagon. That’s not a response we can allow to stand! Right now, legislation is pending in Pennsylvania that would make a huge difference in children’s lives. It would allow school staff members to be trained to give insulin and glucagon so there is always someone there to help, even when a school nurse cannot be. It would also allow students who are mature enough to do so to independently self-manage their diabetes at school. Urge your legislators to support this critical Safe at School legislation. There’s no time to waste! Your legislators are expected to vote on this legislation very soon. That’s why they need to hear from you today. Ask your legislators to keep children with diabetes safe at school! This is a repost from August 2, 2008. Still True. The business structure of CWD is changing. What is important stays the same. Congratulations Jeff, Laura and everyone associated with Friends for Life on keeping what is important, important. I had a teacher in college who regularly asked in lectures "What's Important?" I wrote down what he said next 'cause it was gonna be the a test. They say a picture is worth a thousand words here is a thousand words worth of what's important about Friends for Life. This is Joe, Paul and the teens from eastern Europe. It's getting late, folks are heading to bed, all the tables are clear but one. All the kids are clearly involved in the conversation. The body language was interesting. At times, the kids were leaning in paying attention. At other times Joe and Paul were doing the leaning in hands on the table listening to what the kids were saying. This is what Friends for Life is about. It is what Joe and Paul are all about. More than everything else Friends For Life is about personal contact. The give and take of understand what living with type 1 is like. I have no clue what they were talking about. That's their business. What the picture says to me is that there are a lot of tables we can sit at. There are times when sitting at a table with type 1 peers and mentors is the only one that counts. What is important? Friends For Life. ABBOTT PARK, Ill., Nov. 27, 2013 — Abbott today announced it is initiating a voluntary recall of 20 lots of FreeStyle® and FreeStyle Lite® Blood Glucose Test Strips in the United States. These lots of test strips may produce erroneously low blood glucose results when used with both "FreeStyle® Blood Glucose Meter" and "FreeStyle® Flash Blood Glucose Meter” [neither of which have been in production since 2010], as well as the OmniPod® Insulin Management System1. The company is notifying healthcare professionals, pharmacies, distributors and customers about the recall; customers affected by this action are instructed to call Abbott's diabetes care customer service at1-888-736-9869 for a replacement of the affected test strips at no charge.